A familiar figure on many modern antiques’ and collectors’ sites, Feltri is a summation of thinking about figuration in the hybrid zone where the artistic meets the functional. 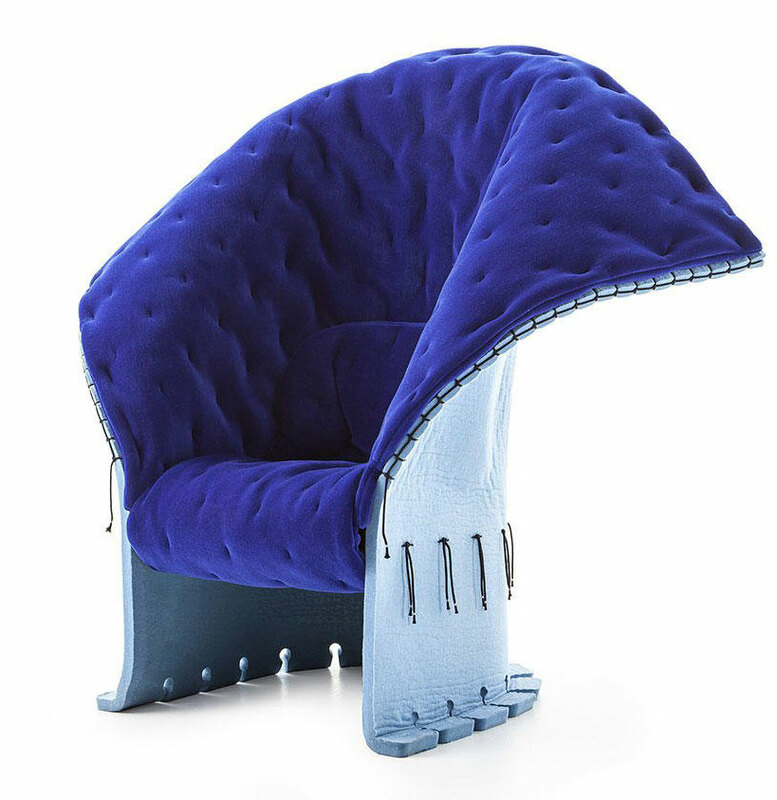 One of a kind, this piece stands out for its enormous flexibility and for the fact that the mattress-like seat can be upholstered in wide array of fabrics. These can be mixed and matched with the six new colour options of the frame, to provide a total of ten colourways. Feltri was created within Cassina’s Research Centre, a place synonymous with experimentation and constructional avant-garde thinking. 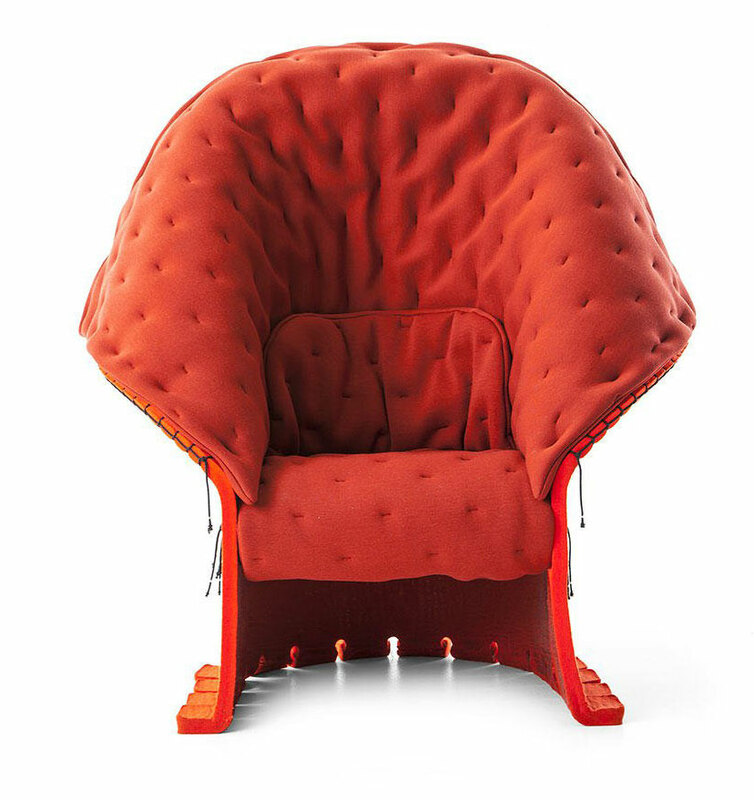 Here, Gaetano Pesce dedicated time and thought to the design, in the process thinking up a complex new manufacturing process that was later patented by the company. 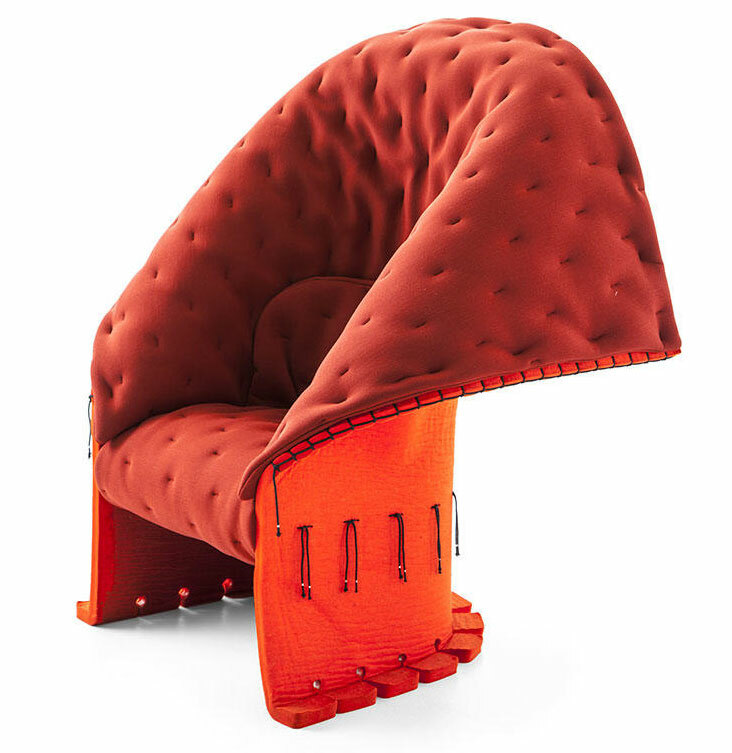 Created entirely from dense wool felt, the pliable, wrap-around back is all one piece. The lower section, meanwhile, is rigid and sturdy, thanks to being impregnated with a thermosetting resin. The seat is attached to the frame using hemp ties; these also extend around the chair’s upper part. 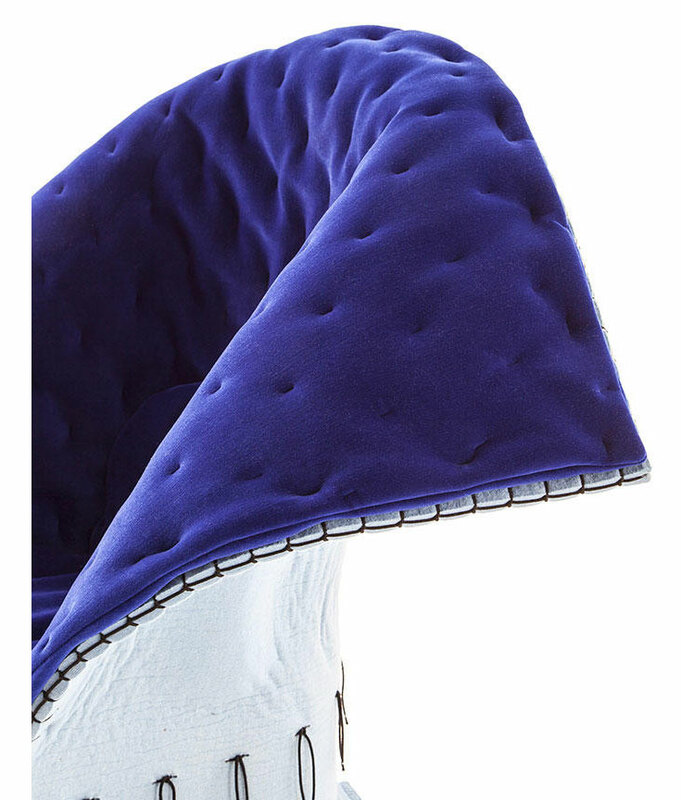 A comfortable quilt, coupled with polyester wadding, serves to upholster the inner section of the chair.